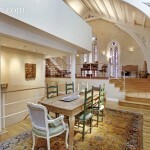 If the idea of living in a former church intrigues you, there are plenty of options on the market. 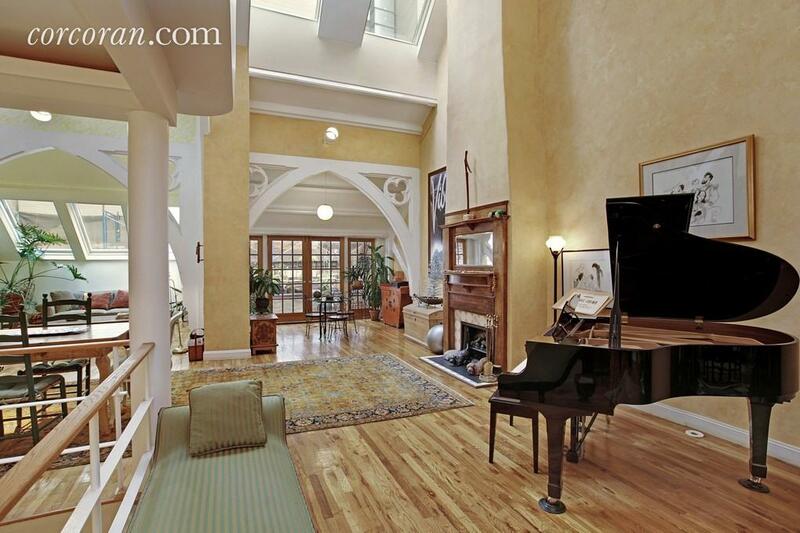 Just yesterday, 6sqft featured a $3 million Williamsburg condo with soaring cathedral ceilings. 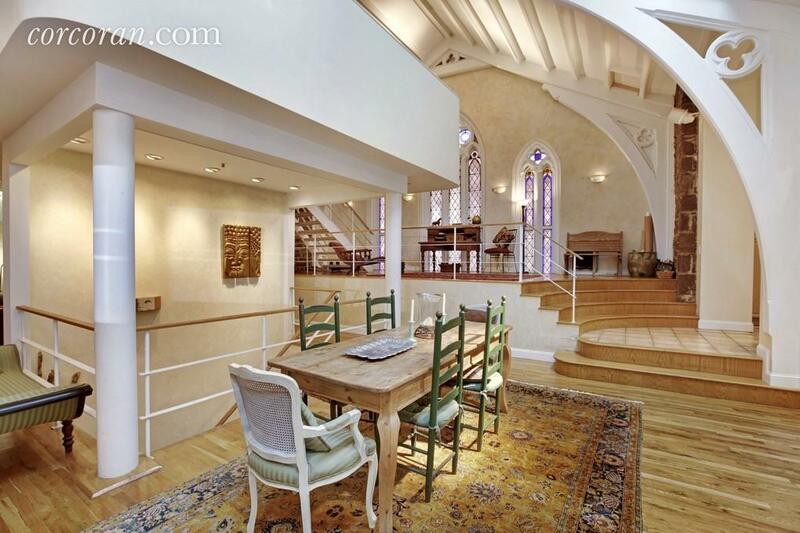 But the 26-foot ceilings at this $6,900/month Brooklyn Heights church turned condo are some of the most spectacular we’ve yet to see in the residential realm. 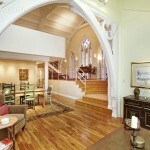 Located at 99 Clinton Street in the old Presbyterian Church, the architecture is downright holy, with many of the 19th century cathedral details like stained glass windows incorporated into the interior. And the exterior still boasts its historic stone facade. 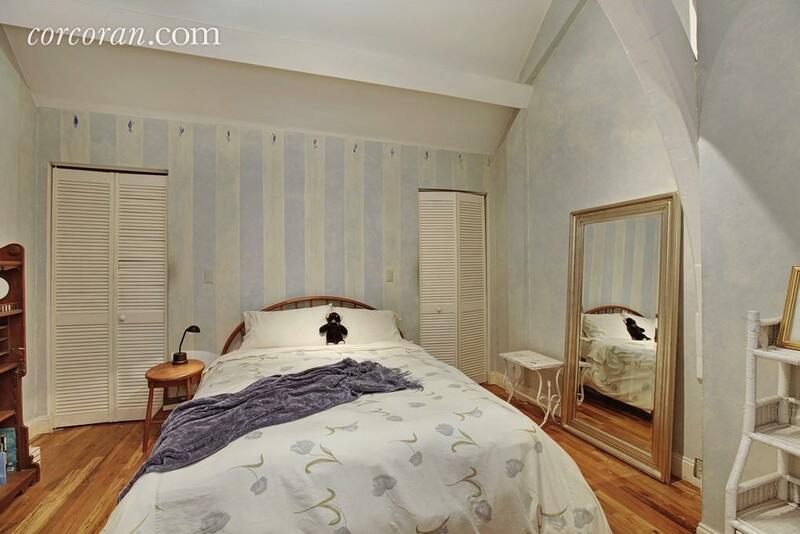 This triplex apartment includes two bedrooms, two bathrooms and spans 2,600 square feet. 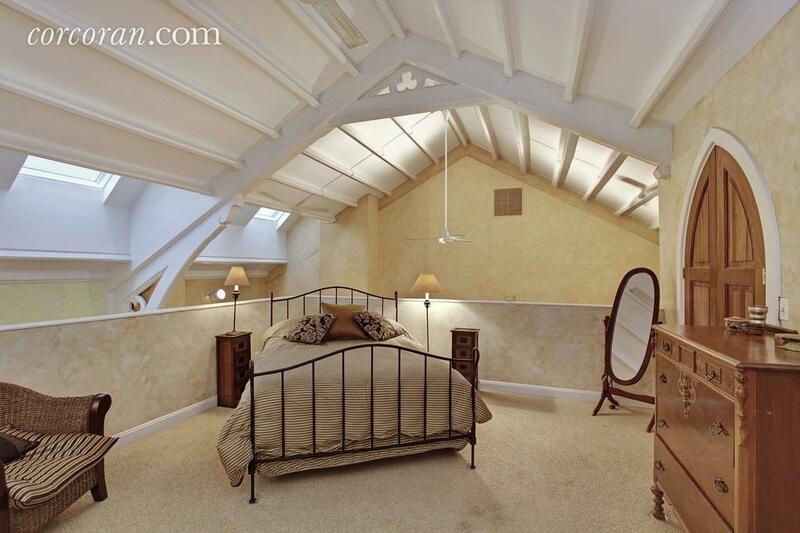 It looks like this unit occupies the very top of the church, so there are lofted spaces built underneath the peaked ceiling. 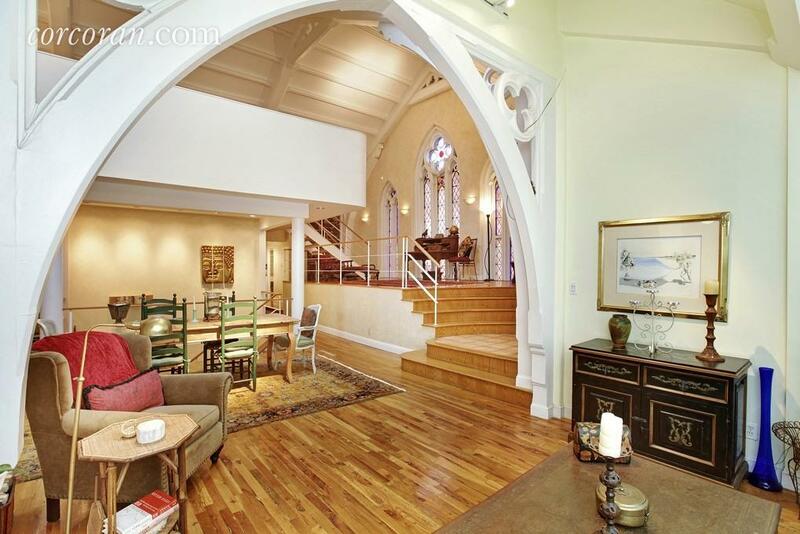 How cool are those wide, arched entryways preserved from church days? 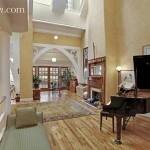 Throughout the sprawling space there are incredible details like a wood-burning fireplace and nearly floor-to-ceiling stained glass windows. Even the kitchen comes with a distinct little window. 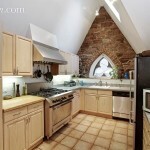 For more light, there was a skylight installed in the cathedral ceiling. 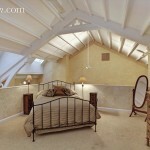 All that square footage means you can create lots of different nooks within the apartment, on different lofted levels. 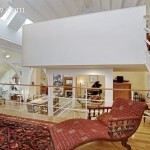 Each and every unit at 99 Clinton Street has a different take on church living. 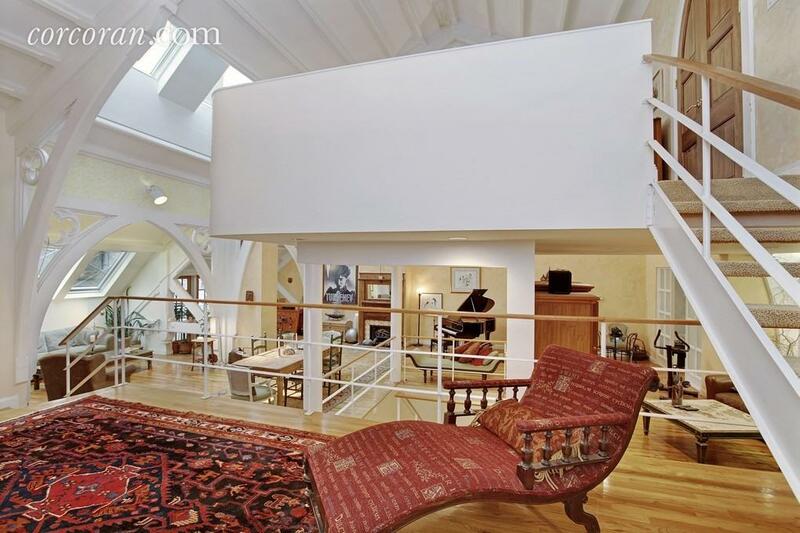 Here’s another large apartment that was asking $2.2 million last year. 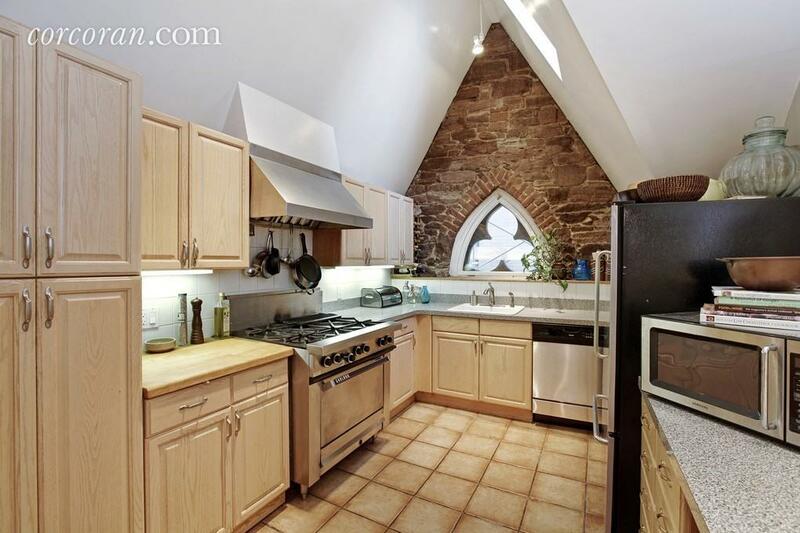 No one said it’d be cheap to live in such holy quarters, especially considering its in Brooklyn Heights.